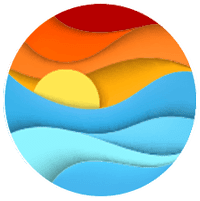 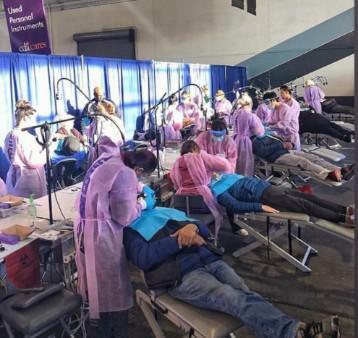 At Pinole Family Dental we feel blessed to be a part of such an amazing community and take pride and joy in giving back. 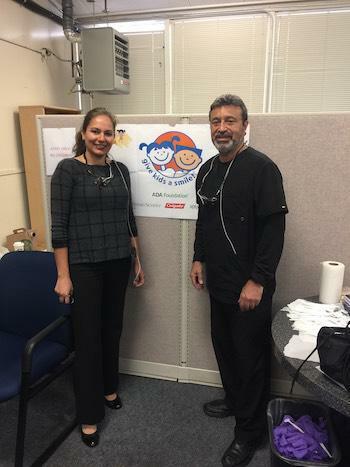 Dr. Mandi and Dr Marc find time to volunteer with various organizations such as the Give Kids a Smile, CDA Cares and other organizations- local as well as international. 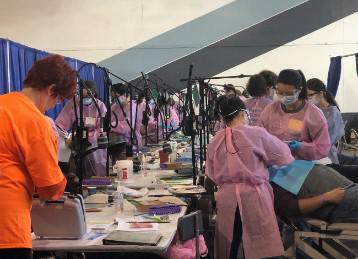 Each year CDA Cares is held in Northern and Southern California, reaching out to those patients who may experience barriers to dental care. 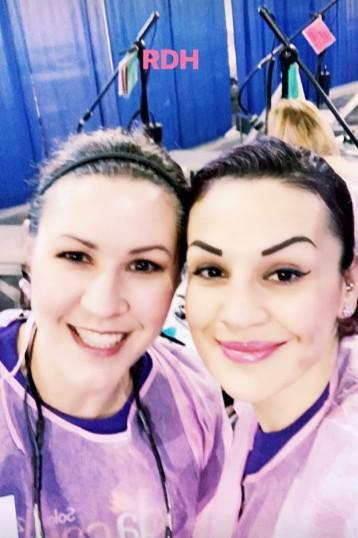 Dental services, such as cleanings, fillings, extractions, etc., are provided at no charge to patients. 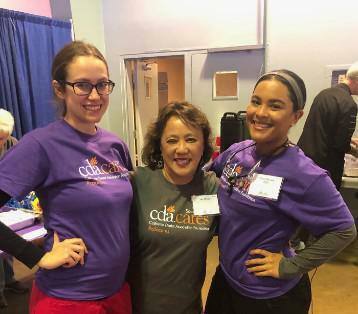 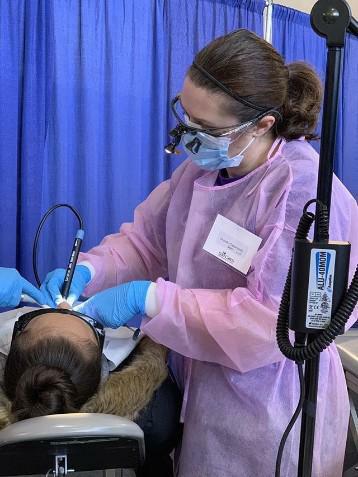 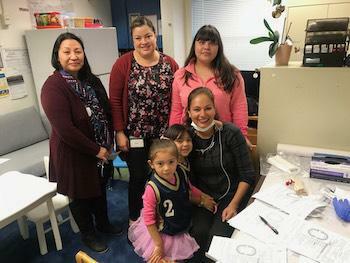 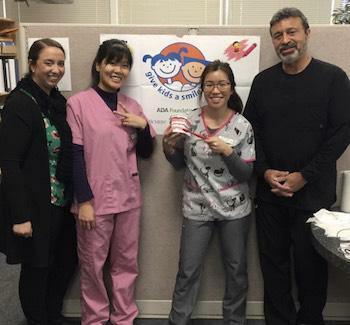 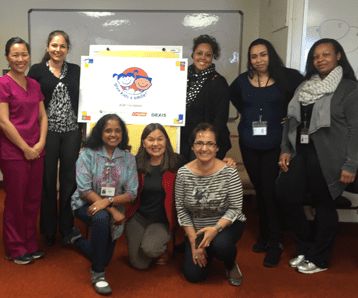 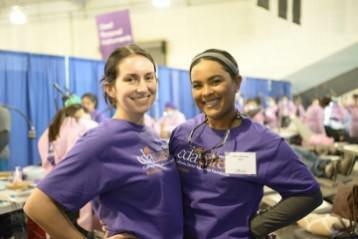 During the weekend of March 8-9, 2019, Dr Mandi, Chandra, Angela, Olivia, Rachel and Val volunteered at CDA Solano in Vallejo. 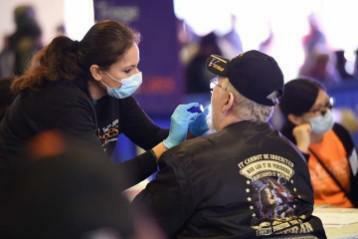 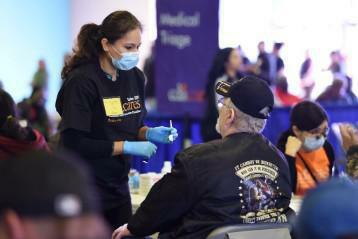 Even though it was raining hard and very cold, an estimated total of 1500 patients received necessary dental care.